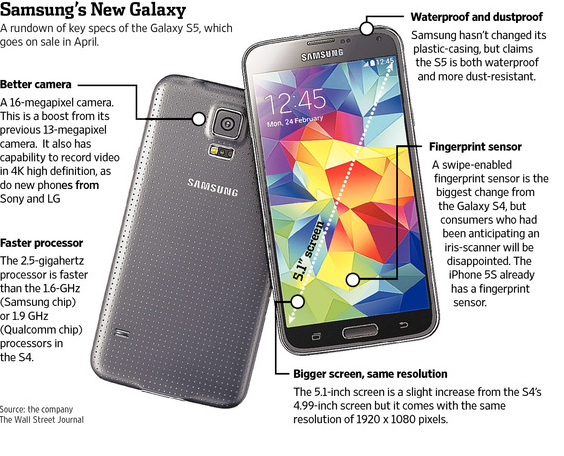 Today, Samsung Electronics announced the long-anticipated Galaxy S5 in Barcelona. 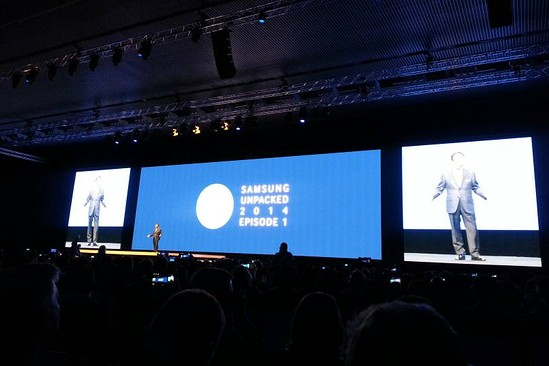 They also mentioned the new line of Samsung Gear smartwatches towards the end of the event. Samsung executives said that the drive for the Galaxy S5 is to improve everyday smartphone use, by enhancing features such as the camera and battery life. The phone itself has a 5.1 inch display, a 2.5 GHz processor and a 16 megapixel camera which is capable of taking high-definition photos and the capability of taking 4K videos. Samsung also announced that the phone has IP67 certification, the same as the Samsung Rugby, and is water and dust resistant. For heavy smartphone users, they have included a new "Ultra Power Saving" mode for the device. In this mode, the phone's screen turns black and white and it is only capable of receiving calls and text messages. With the phone at 10%, it is claimed to be able to last an impressive 24 hours in this mode. The phone will have a swipe fingerprint scanner instead of the rumored iris scanner. The iPhone 5S already has this security feature, and its scanner is able to identify fingerprints just by placing your finger on the home button. However, Samsung added a "Private Mode" with the use of the fingerprint scanner. Users are able to secretly save photos and other documents on the phone in this mode. Here is a highlight of the Galaxy S5's key features. Samsung will be releasing 3 new smartwatches, two of which were announced today, the Gear 2, Gear 2 Neo, and Gear Fit. Theses watches have a curved and less bulky profile. Samsung's marketing man, David Park, calls a "chic" watch. Samsung dropped the "Galaxy" from the previous Galaxy Gear, as these smart watches will no longer be running Android. Instead, they will all run the Tizen OS. Also unlike the Galaxy Gear, the straps are removable and the camera and microphone has been moved onto the body of the watch itself. Furthermore, the battery is said to last up to 3 days, lasting three times as long as the Galaxy Gear. 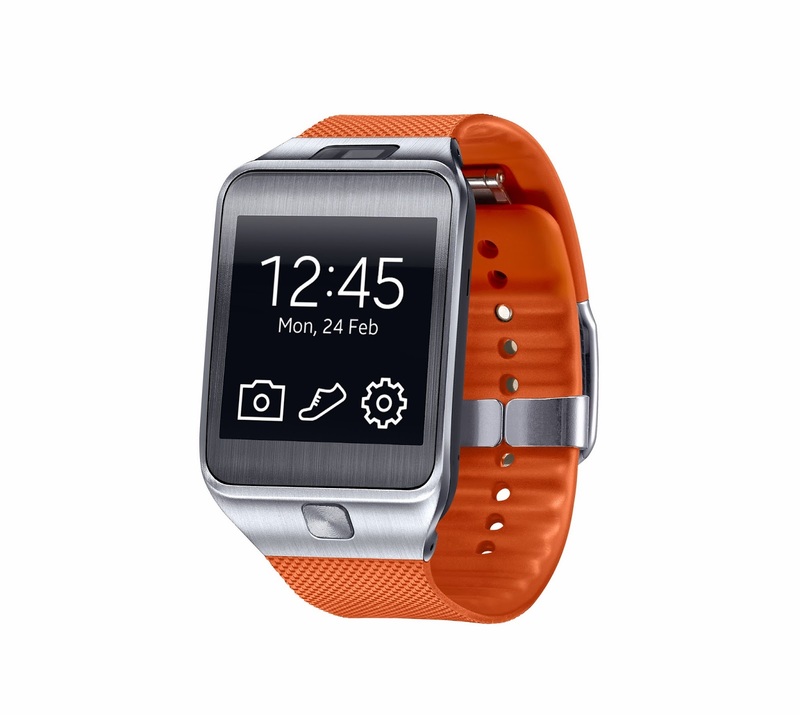 The Gear 2 and Gear 2 Neo are similar, except the Neo does not have a camera. They both have a square, 1.63 inch 320x320 Super AMOLED screen. 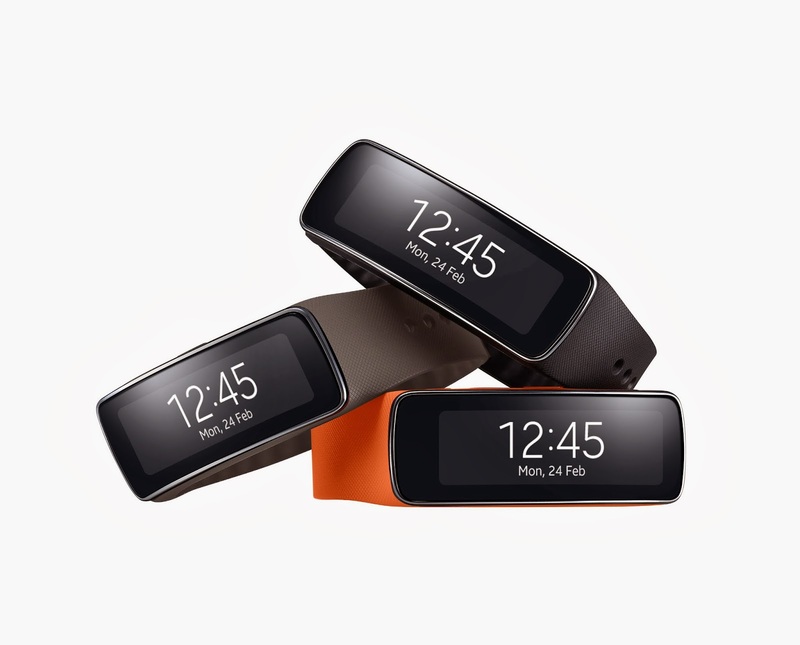 However, the Gear Fit has a long and narrower 1.84 inch 432×138 Super AMOLED screen. The Gear Fit lacks a microphone and instead has a gyroscope and accelerometer. Lastly, Samsung has included a heart monitor in all of the devices above. This is good for the few who are looking to carry one less piece of equipment, or it may be another marketing-gimmick of a feature. Nonetheless, the Galaxy S5 will be the first phone to have a heart heart monitor and the Gear series smart watches will be the second smartwatches to include it (the first being the Galaxy Gear). Update: The S5 will be coming to 11 Canadian carriers on April 11th. The carriers include Bell, Eastlink, Fido, Koodo, MTS, Rogers, SaskTel, TELUS, Videotron, Virgin Mobile and WIND Mobile. Virgin Mobile, Telus, Videotron, Rogers, and Fido are now accepting reservations for the upcoming device.